Considerable focus has been placed on esophageal adenocarcinoma in the last 10 years because of its rising incidence in the West. However, squamous cell cancer (SCC) continues to be the most common type of esophageal cancer in the rest of the world. The detection of esophageal SCC (ESCC) in its early stages can lead to early endoscopic resection and cure. The increased incidence of ESCC in high-risk groups, such as patients with head and neck squamous cancers, highlights the need for screening programs. Lugol's iodine chromoendoscopy remains the gold standard technique in detecting early ESCC, however, safer techniques such as electronic enhancement or virtual chromoendoscopy would be ideal. In addition to early detection, these new “push-button” technological advancements can help characterize early ESCC, thereby further aiding the diagnostic accuracy and facilitating resection. Endoscopic resection (ER) of early ESCC with negligible risk of lymph node metastases has been widely accepted as an effective therapeutic strategy because it offers similar success rates when compared to esophagectomy, but carries lesser morbidity and mortality. Endoscopic submucosal dissection (ESD) is the preferred technique of ER in lesions larger than 15 mm because it provides higher rates of en bloc resections and lower local recurrence rates when compared to endoscopic mucosal resection (EMR). Background/Aims: Advanced endoscopic imaging technologies have been used for the early detection and differentiation of colonic cancers recently. We aim to evaluate the diagnostic efficacy of autofluorescence imaging (AFI), narrow-band imaging (NBI), and AFI combined with NBI for colonic cancers. Materials and Methods: We searched Medline/PubMed, Embase, Web of Science, and Cochrane Library databases for relevant articles. A random-effects model was used to assess diagnostic efficacy. Heterogeneity was tested by the I2 statistic and Chi-square test. 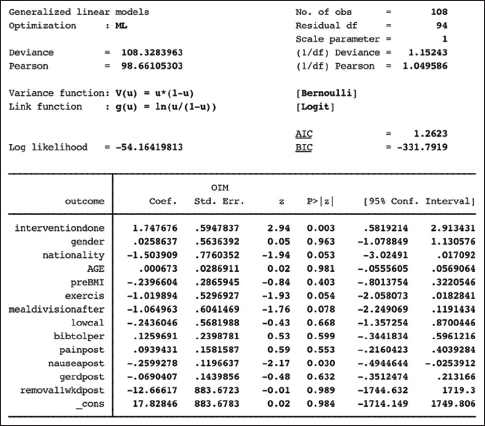 Meta-regression was used to analyze the sources of heterogeneity. Results: The pooled sensitivities for AFI, NBI, and AFI plus NBI were 0.84 (95% confidence interval (CI) 0.82–0.87), 0.84 (95% CI 0.81–0.86), and 0.93 (95% CI 0.90–0.95), respectively. The pooled specificities were 0.44 (95% CI 0.40–0.48), 0.69 (95% CI 0.65–0.72), and 0.69 (95% CI 0.64–0.74), respectively. The sensitivity estimate was significantly higher for AFI plus NBI than AFI or NBI alone (P = 0.041), and the specificity estimates were significantly higher for NBI and AFI plus NBI than AFI (P = 0.031).The pooled diagnostic odds ratio for AFI, NBI, and AFI plus NBI were 8.71 (95% CI 2.90–26.16), 16.02 (95% CI 7.05–36.39), and 57.55 (95% CI 9.82–337.33), respectively. Furthermore, the summary receiver operating characteristic curve area under the curve for AFI, NBI, and AFI plus NBI were 0.8125 with Q* =0.7469, 0.8696 with Q* =0.8001, and 0.9447 with Q* =0.8835, respectively. The Q* index for AFI plus NBI was significantly higher than AFI or NBI alone (P = 0.048). Conclusion: The combination of AFI and NBI was associated with increased diagnostic value for colonic cancers compared with AFI and NBI alone. Background/Aim: Several uncontrolled studies comparing peroral endoscopic myotomy (POEM) and Heller myotomy have demonstrated equivalent short-term efficacy and safety. However, no data exists rergarding the cost of POEM and how it compares to that of robotic Heller myotomy (RHM). The primary aim of this study was to compare the inpatient charges incurred in patients who underwent POEM or RHM for the treatment of achalasia. Patients and Methods: A retrospective single center review was conducted among 52 consecutive POEM patients (2012–2014) and 52 consecutive RHM patients (2009–2014). All RHM procedures included a Toupet fundoplication and were performed via a transabdominal approach. All POEM procedures were performed by a gastroenterologist in the endoscopy unit. Clinical response was defined by improvement of symptoms and decrease in Eckardt stage to ≤I. All procedural and facility charges were obtained from review of the hospital finance records. Results: There was no difference between POEM and RHM with regards to age, gender, symptom duration, achalasia subtype, manometry findings, or Eckardt symptom stage. There was no significant difference in the rate of adverse events (19.2% vs 9.6%, P = 0.26) or the length of stay (1.9 vs. 2.3, P = 0.18) between both groups. Clinical response rate of patients in the POEM groups was similar to that in the RHM group (94.3% vs. 88.5%, P = 0.48). POEM incurred significantly less total charges compared to LHM ($14481 vs. $17782, P = 0.02). Conclusions: POEM when performed in an endoscopy unit was similar in efficacy and safety to RHM. However, POEM was associated with significant cost savings ($3301/procedure). Background/Aims: Sarcopenia, muscle weakness, and physical frailty are independent predictors of mortality in cirrhosis. These adverse prognostic factors are potentially modifiable with lifestyle interventions, including adequate nutritional intake and physical activity. Our aim was to identify patient-perceived barriers and enablers to these interventions. Patients and Methods: Adult patients with cirrhosis were prospectively recruited from two tertiary care liver clinics. Patients were excluded if they had hepatocellular carcinoma beyond transplant criteria, other active malignancy, or advanced chronic disease. Results: A total of 127 patients (mean age: 60 ± 9 years, 58% males, and 48% with Child-Pugh-B/C (CP-B/C) disease) were included. Two-thirds of the patients had cirrhosis related to alcohol or hepatitis C. CP-B/C patients were more likely to take oral nutritional supplements (56% vs 29%) and less likely to consume animal protein daily (66% vs 85%) when compared to CP-A patients. Early satiety, altered taste, and difficulty in buying/preparing meals were more common in CP-B/C patients and even present in 20–30% of CP-A patients. Most patients reported adequate funds to purchase food. As quantified by the International Physical Activity Questionnaire-Short Form, 47% reported low activity levels, with no significant differences between groups. CP-B/C patients were more fatigued with exercise, however, overall Exercise Benefits/Barriers Scale scores were similar across groups. Conclusions: Barriers to nutritional intake and physical activity are common in cirrhosis and should be evaluated and treated in all patients. Asking simple screening questions in clinic and referring at-risk patients to expert multidisciplinary providers is a reasonable strategy to address these barriers. Future research should evaluate techniques to overcome modifiable barriers and enhance enablers. Background/Aim: The excessive apoptosis of intestinal epithelial cells (IECs) partly accounts for the development of colonic inflammation and eventually results in ulcerative colitis (UC). Humanin, an endogenous anti-apoptotic peptide, has previously been shown to protect against Alzheimer's disease and a variety of cellular insults. The present study aimed to investigate the effects of glysin variant of humanin (HNG) on 2,4,6-trinitrobenzene sulphonic acid (TNBS)-induced colitis in rats. Materials and Methods: Rats were divided into four groups as follows: Group 1 (n = 8): control; isotonic saline solution 0.1 ml/rat rectally, Group 2 (n = 8): TNBS colitis; 0.1 ml of a 2.5% (w/v) TNBS solution in 50% ethanol rectally, Group 3 (n = 8): 10 μM HNG, and Group 4 (n = 8): 20 μM HNG intraperitoneal (ip) on day 2 and 6 after rectal TNBS administration. Rats were sacrificed 7 days after the induction of colitis. Blood and tissue samples were harvested for biochemical and histopathological analysis. Results: HNG treatment significantly ameliorated weight loss and macroscopic and microscopic scores. TNBS-induced colitis significantly increased the colonic mRNA expression of tumor necrosis factor-alpha (TNF-α), interleukin-1beta (IL-1β), and caspase-3 activities in group II in comparison to the group I. HNG treatment was associated with an inhibition of mRNA expression of TNF-α and IL-1β, and a decrease in caspase-3 activities in colon tissues in group III and IV when compared to group II. Conclusion: The results of this study indicate that HNG treatment may exert beneficial effects in UC by decreasing inflammatory reactions and apoptosis. Background/Aim: Dyspepsia has a significant impact on the quality of life. Health-related quality of life (HRQoL) can be assessed by disease-specific and generic HRQoL instruments. 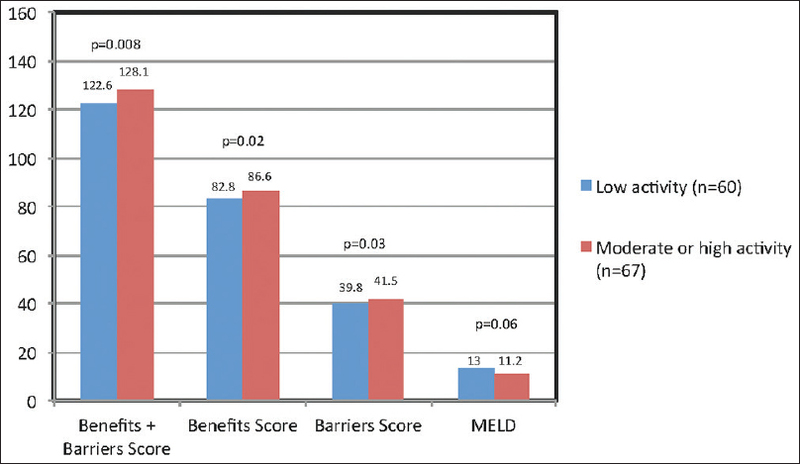 The present study evaluated HRQoL and compared it among dyspepsia subgroups by using EQ (Euro QoL)-5D questionnaire. 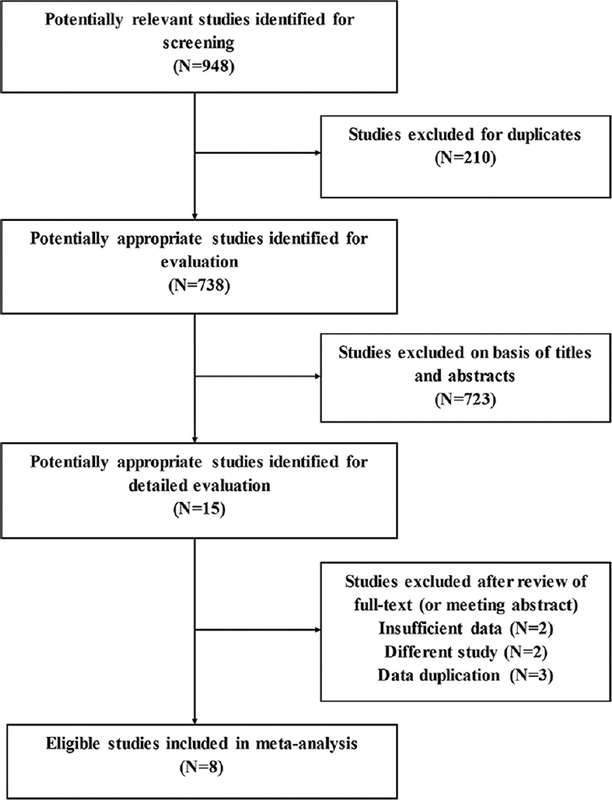 Patients and Methods: Patients with abnormal findings on upper gastrointestinal endoscopy were classified to have organic dyspepsia, whereas those with normal endoscopy were classified as functional dyspepsia if they met the ROME III criteria or as endoscopy negative recent dyspepsia if symptom duration was <6 months. HRQoL was assessed using the EQ-5D questionnaire, and the overall health status on a visual analogue scale (VAS); and the frequency of impairment in each dimension were compared between the dyspepsia subgroups. Results: The overall health status was affected equally in all three dyspepsia subgroups. Impairment in HRQoL was commonly seen in the dimensions of pain (98.4%), usual activities (66.20%), and anxiety/depression (70.60%), however, much less so in mobility (22.70%) and self-care (10.9%). Any impairment in HRQoL was not significantly different between the three subgroups in the dimensions of mobility and usual activities. Self-care was more commonly affected in organic dyspepsia, anxiety/depression was more common with functional dyspepsia, while pain, though significantly different among various subgroups, was very common in all three subgroups. Conclusion: HRQoL was equally affected in all three subgroups of dyspepsia but variably so in the different domains of EQ-5D. 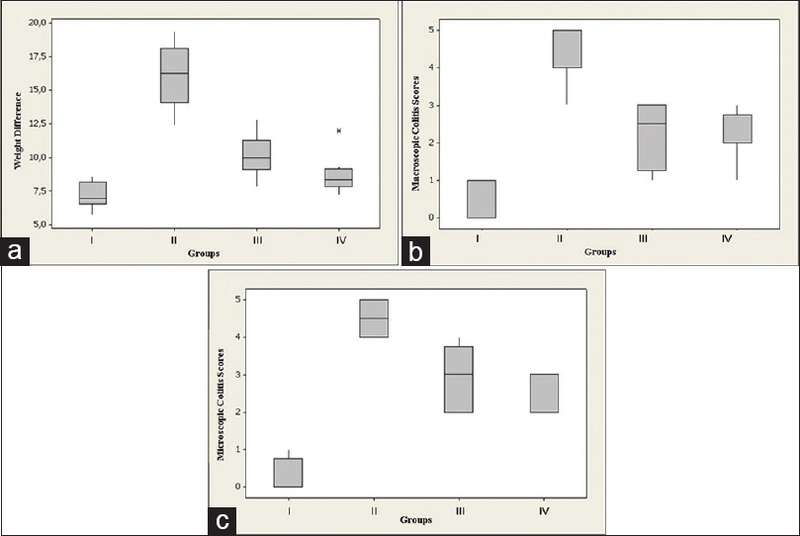 These differences need to be studied further to improve the management of different etiological subgroups of dyspepsia. Background/Aim: Intragastric balloon (IGB) is an effective and safe method of weight reduction. However, IGBs have been associated with a high rate of weight regain post removal. Accordingly, ways to improve sustained weight reduction including concomitant treatment with Glucagon-like peptide 1 (GLP-1) agonists have been proposed. This study aims to evaluate the effect of adding Liraglutide to IGB insertion on sustained weight reduction. 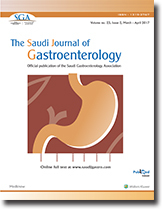 Patients and Methods: A retrospective analysis of all cases treated with IGB with or without Liraglutide was performed. Outcomes were statistically compared. Results: A total of 108 patients were included; 64 were treated with IGB alone and 44 with IGB + Liraglutide. Six months after removing IGB, patients treated with IGB + Liraglutide had a higher mean weight loss post treatment completion (10.2 ± 6.7 vs. 18.5 ± 7.6, P = <0.0001) than those treated with IGB alone. After adjusting for covariates, patients treated with IGB alone demonstrated a higher mean body weight loss at the time of IGB removal (coefficient 7.71, 95% CI = 4.78–10.63), and a higher odds of treatment success 6 months post IGB removal (OR = 5.74, 95% CI = 1.79–188.42). Baseline body mass index appeared to be a significant predictor of mean body weight loss at the time of balloon removal. Conclusions: Adding Liraglutide to IGB does not appear to decrease the risk of weight regain 6 months post IGB removal. 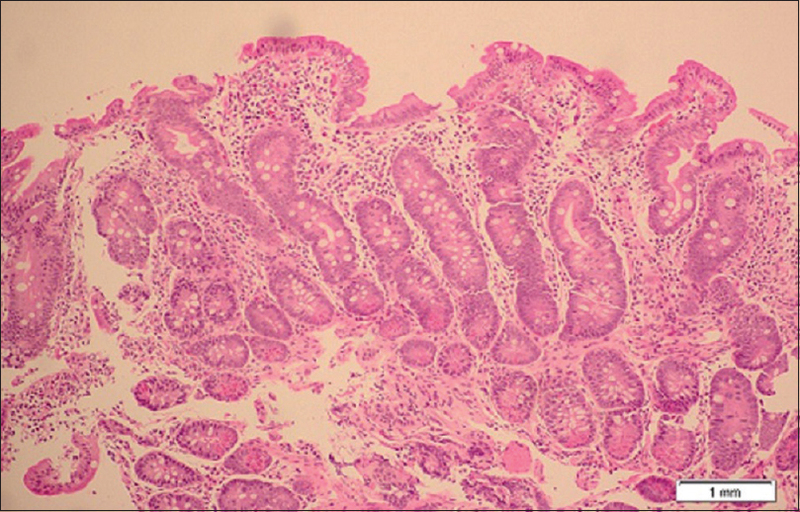 Background/Aim: Tufting enteropathy (TE) is a rare cause of congenital intractable diarrhea in children. It often results in an irreversible intestinal failure and total parenteral nutrition (TPN) dependency; eventually, intestinal transplantation may be necessary. Data on TE from the Middle East are scarce; therefore, our aim of conducting this study was to clarify the clinical, histopathologic, and molecular features of TE in Saudi children. Patients and Methods: This was a retrospective chart review of four children with TE who presented between January 2011 and December 2013 to King Fahad Specialist Hospital-Dammam (KFSH-D). The diagnosis of TE was suspected based on characteristic histopathologic intestinal biopsy findings and confirmed by EpCAM gene testing. Results: Molecular testing identified two novel mutations in the EpCAM gene in our patients. These mutations were associated with severe phenotype of the disease characterized by very early onset (median of 2 weeks of life), TPN dependency, and death during early childhood. Two patients died due to central line-related complications. Two patients were referred for intestinal transplantation due to loss of intravenous access in one and progressive liver disease in the other. Conclusion: Mutations in EpCAM gene in Saudi children are characterized by severe phenotype and poor outcome.